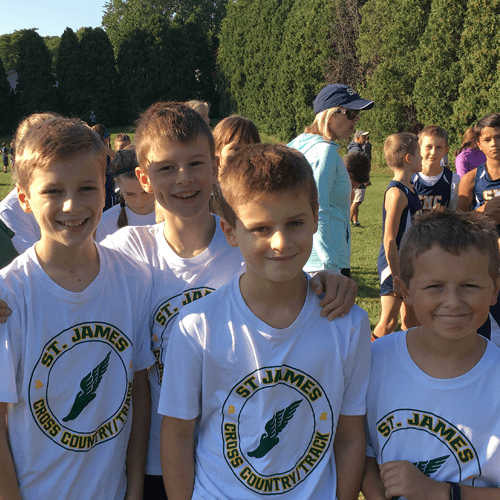 The St. James Boys (Grades 5-8) won 2nd place (overall) at the Championship Meet in Division A. St. James boys were given a plaque at the awards ceremony. This is quite an honor for the boys team as there are 14 schools in our division. Hats off to these coaches, Coach Blankenship and Coach Stachnik for another wonderful season. 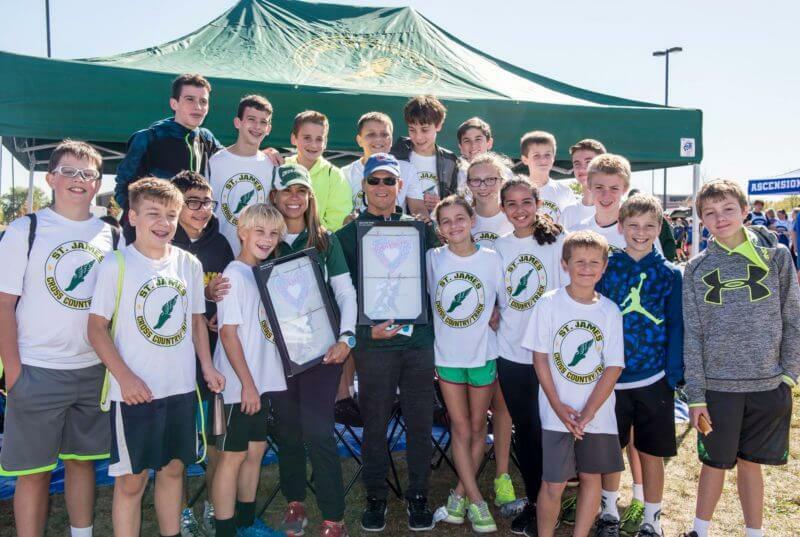 We will miss you all so much….a bittersweet end for 8th graders who have grown to love these coaches and a team that is like family.